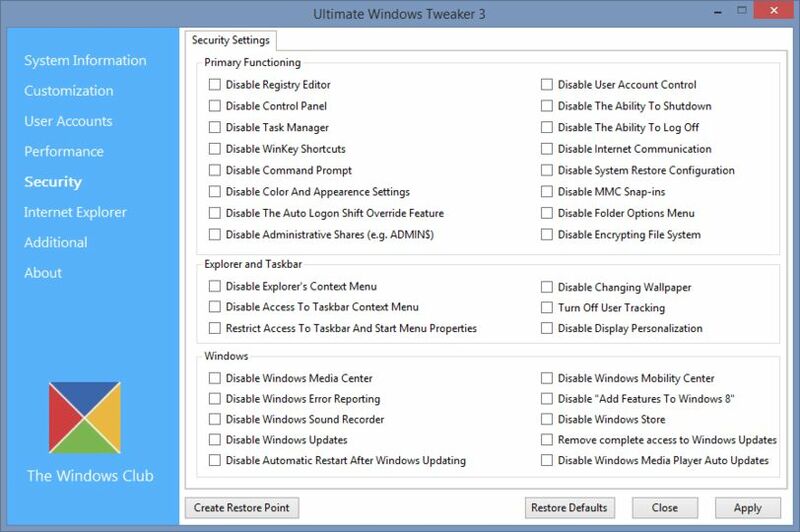 Ultimate Windows Tweaker for Windows 8 is a collection of over 170 tweaks for Windows 8/8.1. 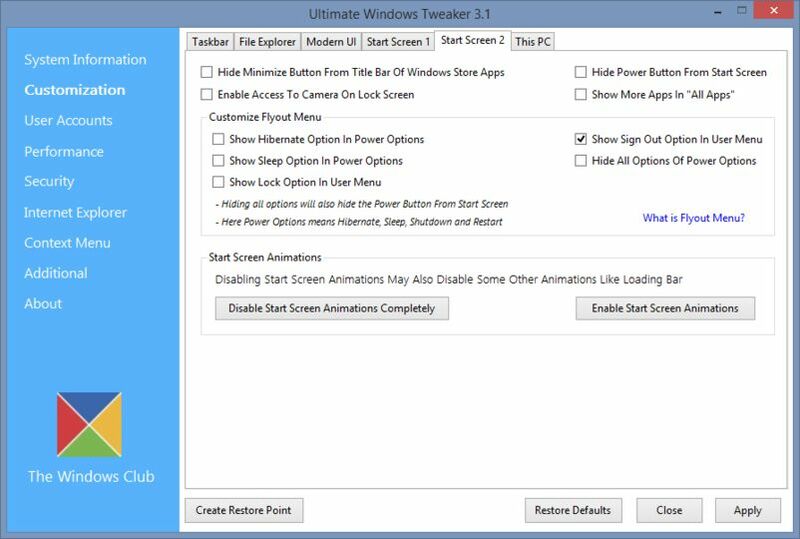 Some tweaks will help with performance while others may just help with appearance, either way there is likely to be something that you would like in such a large collection of tweaks. 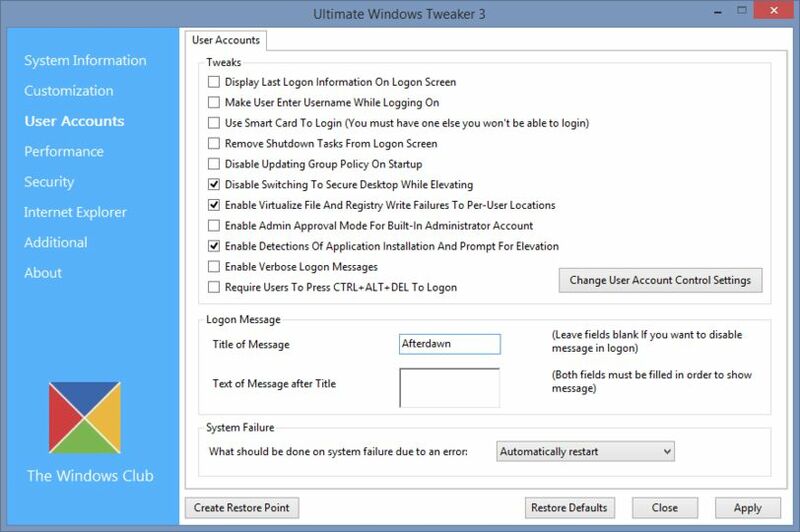 It can change settings of user accounts, tweak for performance, customize the user interface and much more.